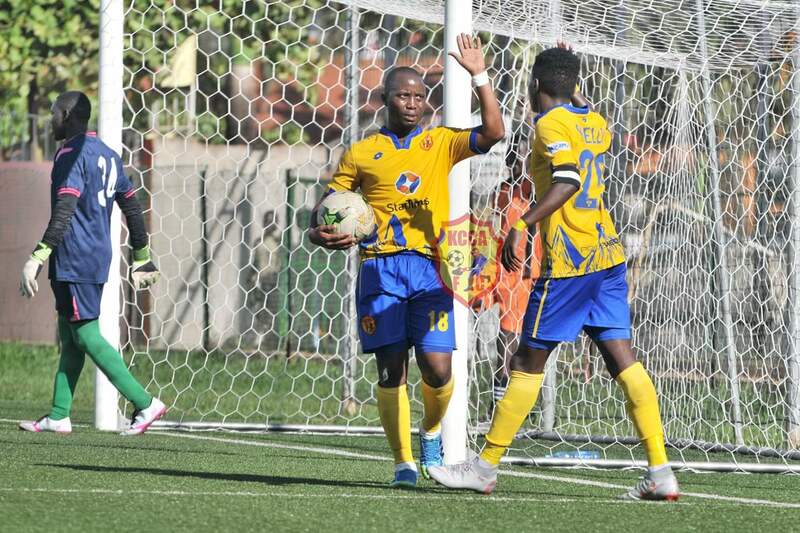 LUGOGO – KCCA FC started their bid to retain the Uganda Cup with an emphatic 8-2 victory at home to Big League side Amuka Bright Stars. In the game played at Lugogo, Mike Mutyaba helped himself to a hat trick while Allan Okello and Steven Sserwadda scored a brace each. Substitute Julius Poloto grabbed the 8th with less than 10 minutes to play. A goal in each half from Christopher Kirya and Bronson Nsubuga acted as consolation for the visitors. After a dominant start by KCCA, Sserwadda put the hosts ahead inside 12 minutes with a header off Herbert Achai’s cross. On 20 minutes, Mutyaba scored the first of his three on the day, side footing from close range past Amuka goalkeeper, Shadrack Ssebulime. Two minutes past the half hour mark, Mutyaba made it 3-0 to the hosts with another close range strike with Okello grabbing the assist. Amuka Bright Stars pulled a goal back in the 41st minute through Christopher Kirya, against the run of play. Moments later, Mutyaba controlled a long ball by Bernard Muwanga and poked it calmly past Ssebulime as the former Vipers and Express forward completes his ha trick and in process put KCCA 5-1 up. By the time Alex Muhabi blew for halftime, Amuka looked disjointed and their body language as they went back into halftime was a sign of what was to come. Two minutes after restart, Sserwadda raced onto a loose back pass to round Ssebulime and finish into an empty net for KCCA’s fourth goal. 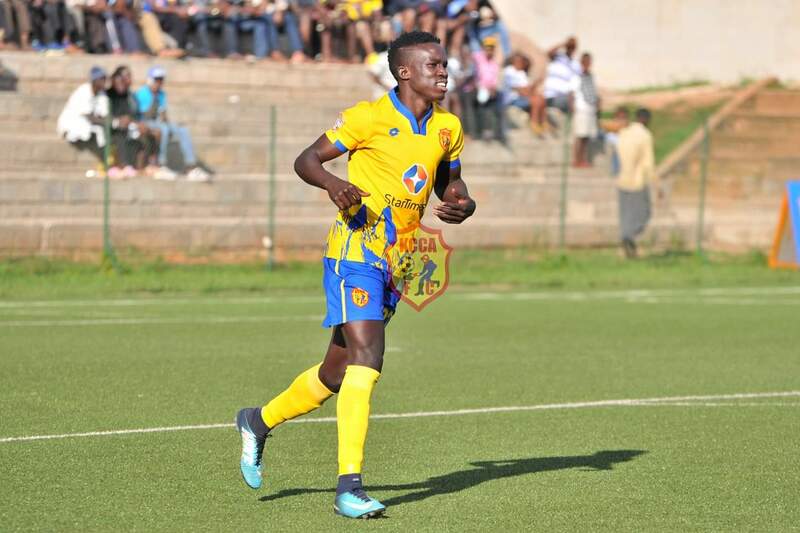 On 50 minutes, Okello who had looked lively all day got his name onto the score-sheet for KCCA’s 6th on the day thanks to a curling shot from outside the area. On the hour mark, Okello who was handed the captain’s armband on the day got his second beating the advancing goalkeeper in a one against one incident and poking into an empty net after being set-free by Sserwadda. KCCA suffered an injury upset when Herbert Achai was stretchered off with a leg injury and was replaced by Poloto with 20 minutes of the clock. 10 minutes later, the winger who has been out of action for over a month joined in on the party with the 8th for KCCA. Amuka Bright Stars scored their second and the game’s last through Bronson Nsubuga with seven minutes to the climax. KCCA has thus scored the most goals in this year’s knock out cup competition surpassing the 5 managed by Police FC on Sunday. The win means that Mike Mutebi’s side qualify for the round of 32 while Amuka are eliminated. Meanwhile, in the other game scheduled for Wrdnesday at the St Mary’s Stadium, visiting-Rushekere Growers were a no-show hence their game against Vipers postponed. The FUFA Competitions department will pronounce themselves on the matches not honoured in the nearby future.